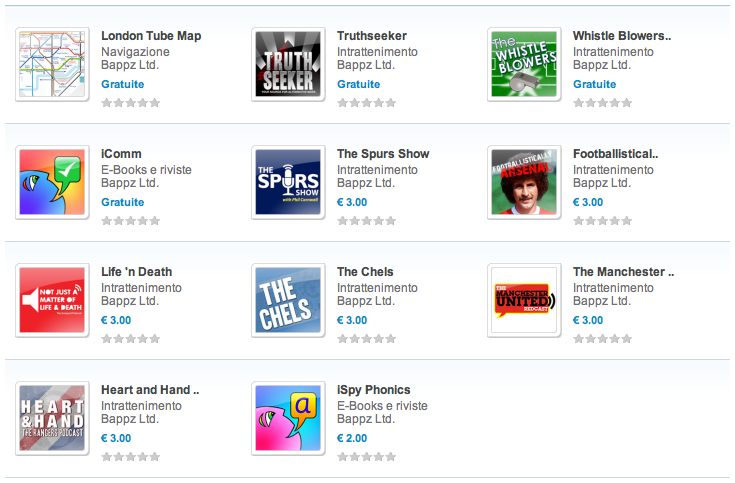 We haven’t made too much noise about it, as these apps haven’t been available in the English language markets, but Bappz had a busy second half of 2011 creating 11 new bada apps and opening our world to a whole new platform. bada is the platform powering millions of Samsung Wave around the world, a leading OS in many countries including Russia, Italy, Germany and China and is now widely considered as the third option ahead of Windows7. Bappz is one of the few UK based developers with bada skills and track record having built free, paid for and in-app purchase bada apps for the bada platform.